Kimberly’s Image & Day Spa created a lot of buzz when it opened its doors in 1992. Its reputation for great cuts and color attracted a wide audience, from students to stay-at-home moms to career professionals who appreciate the intensely personalized level of services. Through the years, Kimberly Acworth expanded her powerful vision of what a salon should and can be. Traveling the U.S. and Europe, she studied, learned, observed and entered competitions. . .always with an eye on the future. In 2003 she launched INDULGE – a colour salon where both the results and experience are 180º from ordinary. Unexpected and imaginative, Indulge created its own buzz with its total commitment to signature color processes, and use of French and Japanese hair-cutting and French blow drying techniques to create extraordinary transformations. In time the two salons gradually become one in culture as well as spirit, while maintaining their individual Pennsylvania locations – Indulge South York at Colonial Square, and Indulge East York at the York Mall. Welcome to the world of Indulge – a Colour Salon 180º Degrees from Ordinary™ – and home to our exclusive line of body care products called Indulge Pure Originals™, as well as our newest venture, Indulge Luxury Imports™. When I first got involved in this fascinating business, I attended beauty school as a means to pay for a business degree. I wanted to be the CEO of a Fortune 500 company. After working for some really great salons, however, I saw a missing link in the beauty industry – and visualized Indulge. I wanted to take the specialty of hair color to a completely new level of expertise. So I studied everywhere and when I could – in the U.S. (even Alaska) and Europe – to learn more defined techniques in the art of color correction. I mastered blonding so I could produce specific shades, tints and highlights without the damage that can sometimes occur. In fact today I absolutely love fixing orange brassy hair. Bring it on! I’ve also been taught by the best in the French and Japanese haircutting systems, as well as French Balayage Highlights (which essentially means hair painting). And when it comes to hair extensions I think we are unsurpassed. Along the way I’ve had some great experiences. . .competing in a Fastest Foiling contest in L.A.. . .personally working with celebrity style-maker Frederic Fekkai in New York City on advance coloring techniques (yes, he’s that gorgeous in person!) . . .taking art classes to fine-tune my own color perceptions. I’m also proud of the fact I’ve been featured in Modern Salon Magazine and Sophisticate’s Hairstyleguide. Our success is nurtured by continuing education for every member of the Indulge team. 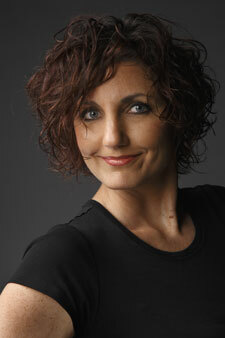 We’ve flown in educators and renowned stylists from Paris, Scotland, Canada, Atlanta and New York. Plus I personally train each Indulge team member, honing every technique from the shampoo sink to custom designing color solutions, and testing to ensure each step is fully mastered. Every stylist understands what it takes to work at Indulge. We take pride in our passion and creativity, take time to listen, and only use the most advanced, safest and best products available in our industry. We work as one, so our clients can expect consistent, professional consultation and service. . .and results they will love. That’s our guarantee. To stay in tune with the world of business I also attend advanced classes, have numerous certificates from Strategies Publishing on salon management, and am fortunate to have mentors from a variety of different backgrounds – including those Fortune 500 companies! I would never have been successful without the true support of my team of business professionals who make us look good. . .thanks to their expertise. All of us at Indulge hope you enjoy our website. Come back often, as we’re always adding new information and advice about products and trends. We guarantee all of our work, products and services. However, because some elements react adversely with colour treatments, we can only guarantee our work when preventative measures are taken under our advice. Mineral-rich well water, excessive cleansing, harsh detergents and some prescriptive drugs may negatively affect both the colour and quality of your hair. Clear communication is essential. We will make the appropriate product and hair care recommendations that will be tailored to your unique circumstances. In some cases you may be asked to sign a waiver. Also, we will happily accept all returns within a 24-hour period.